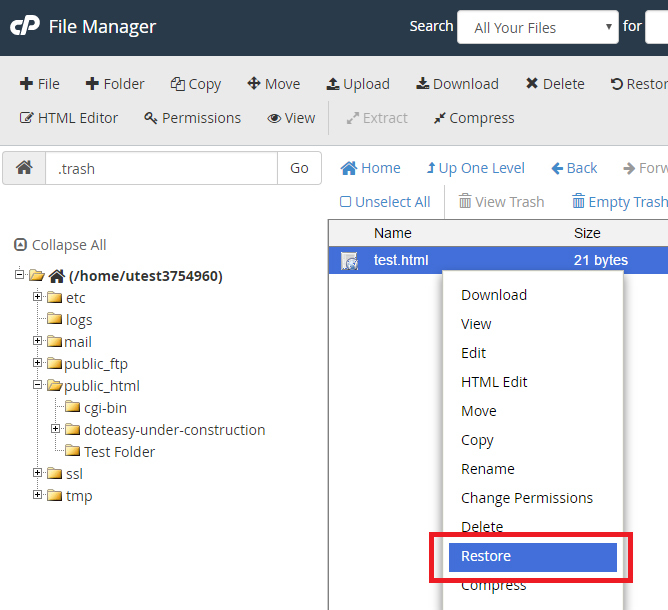 You can use File Manager to delete files from your server. 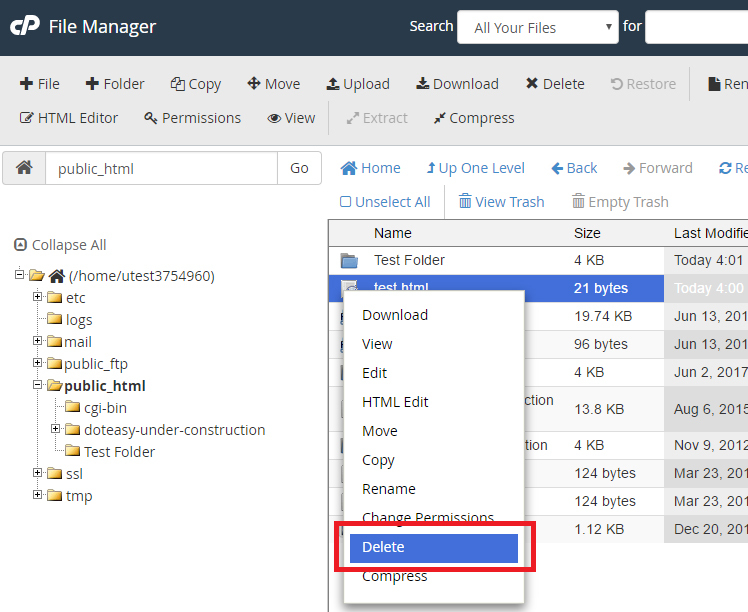 You can use the Delete function in File Manager to delete files and folders from your server. Navigate through your files to locate the file you want to delete. 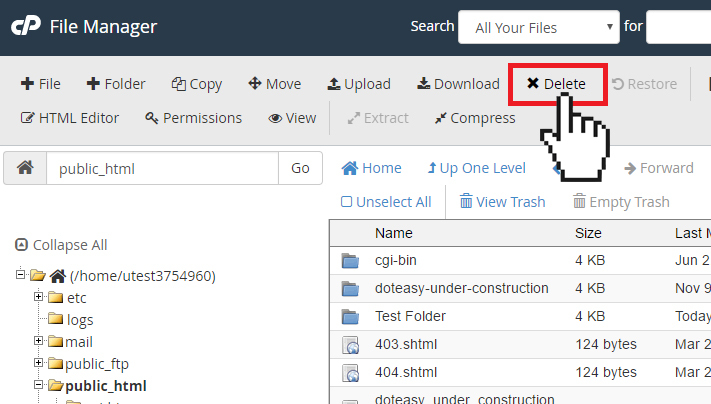 Select the file and click on the Delete icon on the top toolbar. 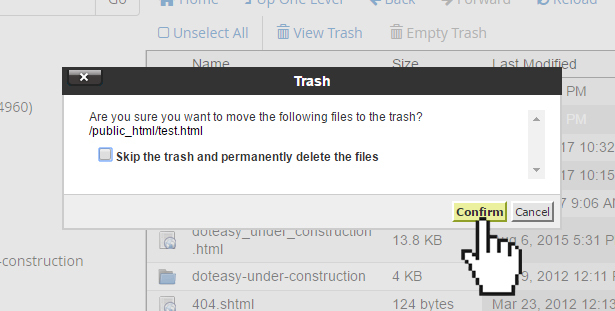 Alternatively, you can right-click on the file and select Delete from the options menu. Click Confirm to complete the action. NOTE: When you delete a file, it is not permanently deleted from your server. Instead, File Manager moves the file to the Trash folder. If you want to skip this step and permanently delete the file instead, check the Skip the trash and permanently delete the files option. Deleted a file by accident? If you have not checked the Skip the trash and permanently delete the files option, then you can recover the deleted files from the Trash folder. Select the file or folder you want to restore. Click Restore from the top toolbar. 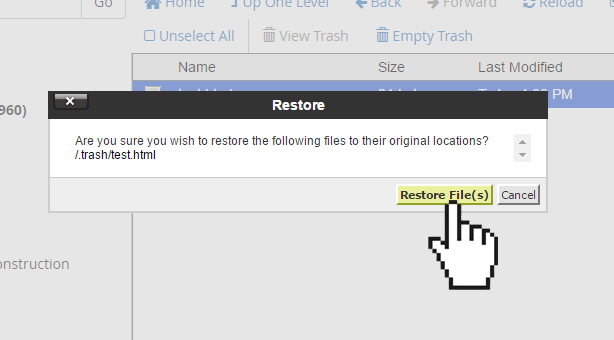 Alternatively, you can right-click on the file and select Restore from the options menu. Confirm that you want to restore.